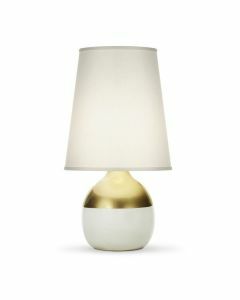 Brighten up any space with this simple, chic table lamp. It features a botanical palm design and measures 32" x 19". 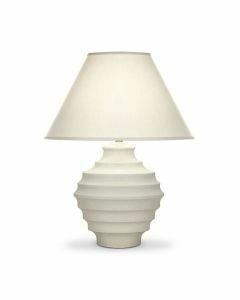 The off white polyester round hardback shade with single fold trim measures 12" x 9" x 13”. Click on images for greater detail.